Looking For Last Years Set? 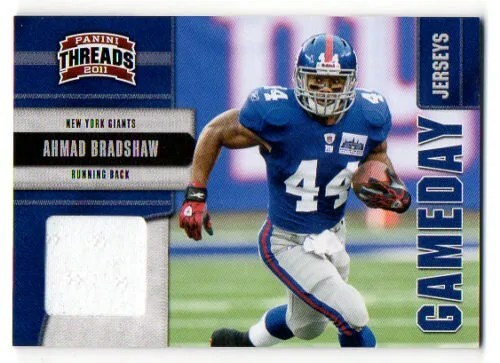 Threads Football returns in 2011, and collectors are treated with manufactured letterman cards of the top NFL draft picks. I remember these cards going back to 2006 when Reggie Bush and Maurice Jones-Drew were RC’s, and I think these cards are fun to collect. The letter piece gives us a break from autograph stickers and even on-card signatures, making these a great addition to any player collection. Like many premium Panini sets, you could only find hobby boxes at brick/mortar shops when the set went ‘live’ August 24th. Anyone (like myself) that doesn’t have a hobby shop in the area will need to wait until August 31st to find this online and other places.